This article introduces the new “VR edit mode” function of STYLY, where the user can edit the space directly in VR. STYLY previously could only be edited from a web browser, but with the new “VR edit mode”, the user can check object’s sizes and positions directly from inside VR. STYLY has a original VR VIEWER, and “VR edit mode” is a new function of the viewer. So, let’s find out how to use the VR edit mode. First, place the assets you want to have in a VR scene from the Web Editor. You can not only add self-created assets, but you can also directly install assets from Google Poly. To start the VR Editor, open the STYLY application from Steam, and select the pencil icon button located at the bottom right of the thumbnail in My Scenes, or open the scene and click the “Edit in VR” option from the menu button controller. To learn how to open the STYLY application from Steam, please refer to the article below. 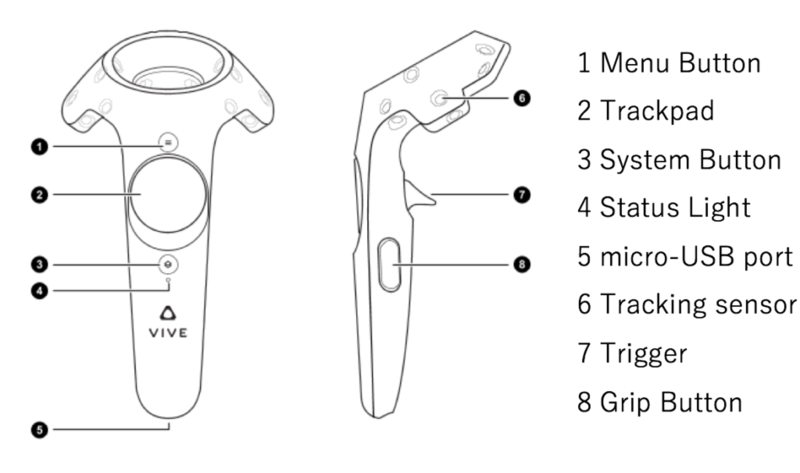 In this article, we will use the VIVE Controller. 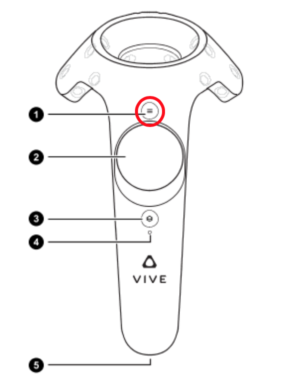 If you are unsure about the button names of the VIVE controller, please refer to the image below. Open the menu screen by pressing the menu button. 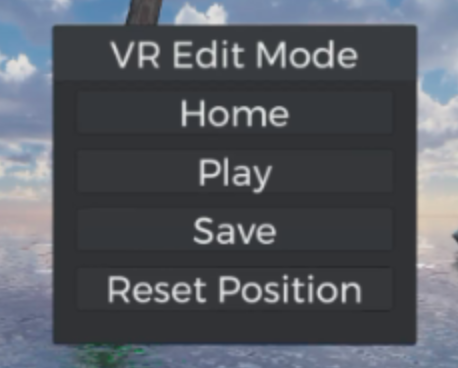 There are two modes, “VR Edit Mode” and “Play Mode”, so please select the VR Edit Mode. 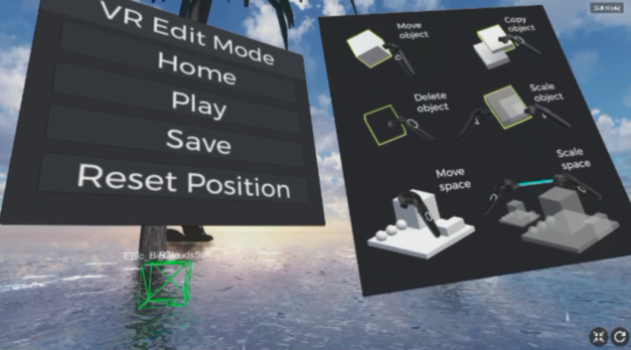 If you are in Play Mode, click “Edit in VR” and change the mode to VR edit mode. 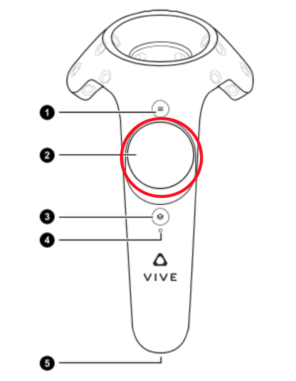 In VR edit mode, a control help window appears on the right, so if you need any help with the controls, refer to the directions. Whenever you want to check the scene you edited, click “Play” and change to the Play mode. When you move the controller near an object, the object gets highlighted in yellow, and if you press the trigger button you can grab that object. As long as you are pressing down the trigger button, you continue grasping the object, and you can move the object manually. When you press the trackpad button as you are grasping an object, you can duplicate the object. You can grasp and move the copied object just as you did with the previous object. On the contrary, when you want to delete an object, move the controller near to an object and press the touchpad. 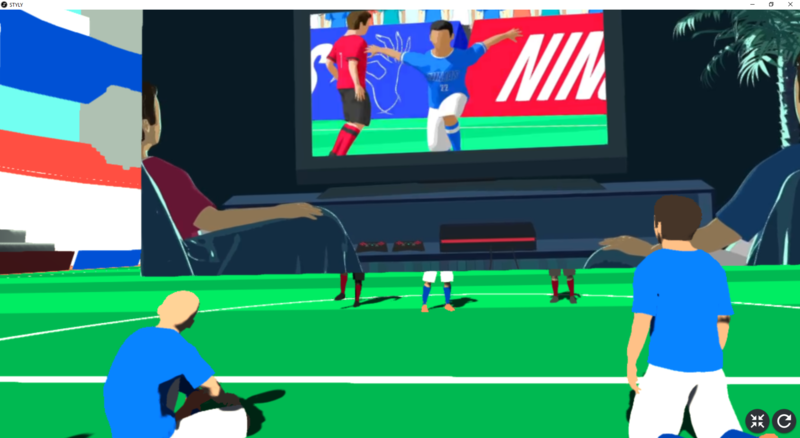 By pressing both triggers as you hold an object, and moving the controller near to you or away from you, you can change the size of the object. 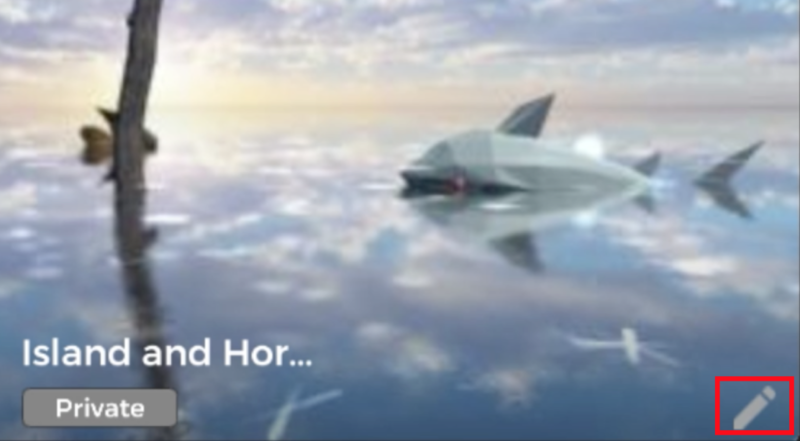 You can see the object getting smaller in the GIF image above, as the user moves the controllers nearer. 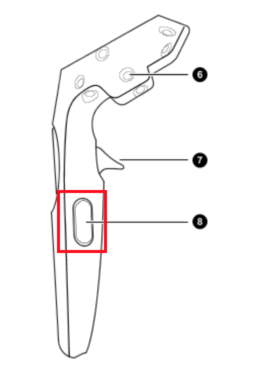 By using the grip buttons, you can change the size of the area, or rotate the area. If you want to move around the space, grasp the controller grips, and swing your arms towards the direction you want to move to. 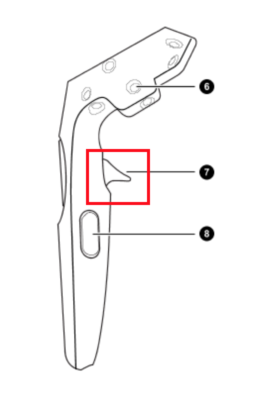 If you want to change the size of the area, or you want to rotate the area, press the grip buttons on both your controllers while you are not grasping anything, and by opening your arms you can enlarge the area, and by closing your arms you can shrink the area. If you move your arms towards your front or back, you can rotate the area. Once you are done with editing the scene, don’t forget to open the menu screen and click “Save” from VR edit mode. If you click “Reset Position”, you can reset the area and object sizes, and return to your initial position. That will be all for my introduction of the “VR Edit Mode”. With this function, you can directly check the size and positions of objects from VR, which are hard to check in detail from non-VR screens. I hope you make good use of this function and create high-quality VR scenes!